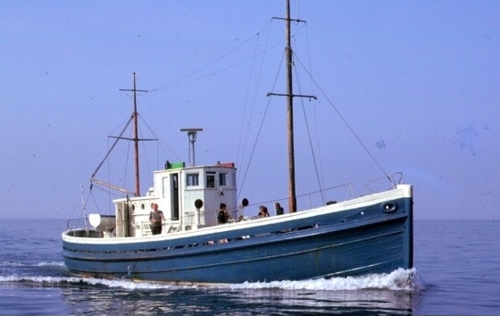 On Sunday 26th May 1985, Joey, his brother Robert, Brian Reid and other passengers and crew, numbering thirteen in all, were making their way over to the Island on a converted fishing boat, the M.F.V. Tornamona. The boat struck rocks at the entrance to Strangford Lough in the early hours of the morning and sank. Joey helped to rescue the other passengers and crew all of whom were saved. Five bikes, Joey's and Reid's, were later recovered from the Lough. Fortunately Joey's works Hondas had arrived at the Island by another route. The incident would have been enough to seriously de-tune many a rider but Joey seemed to shrug it off and went on to have his most successful TT yet. Watch the BBC video about the sinking - Robert Dunlop remembers the moment when Joey told him that something was wrong.